To ONE or not to ONE? I merrily left GameStop and headed home, anxious to play my new system. I hooked it up and had to wait for my games to download from the Xbox store. Black Flag and Unity took quite awhile to download. I didn't get to play those the night I brought home the console. I thought I would fill the void with my disc based copy of Ryse. Sadly, it wasn't as the last generation of consoles where one plugs in and plays. Nope. Not at all. I had to wait for Ryse to install on my console. I was disappointed that I couldn't just play the game. It took awhile for that game to install as well. Here's what I think about the dashboard: It's over cluttered and way too busy. I liked that I was able to make everything purple. Purple makes everything better. I unpinned the apps that I wouldn't use, nor had any interest in, and the dashboard was still ugly. I'm not a fan of the 360 dashboard either, but it seems much more organized to me. I don't find the dashboard to be user friendly, as the 360 is, and I am a tech nerd. I was confused and annoyed. One cool feature I like is, upon getting achievements, one can use the pictures from the achievement and use it as a background for the One. I am disappointed by the amount of space that Microsoft apps take up before one installs games. I bought the 500 gb version, and I was quite miffed when I noticed that after installing three games, I was well below 300 gb. I can't help but feel robbed. If Microsoft advertises 500 gig, I should get more than 400 gig starting out. I believe I started with 362 gigs to store games, music, pictures, and video. It's not like this generation of games are small, and the idea of DLC, well, that takes up even more space. I didn't get the Kinect version because I am not a fan of the Kinect. 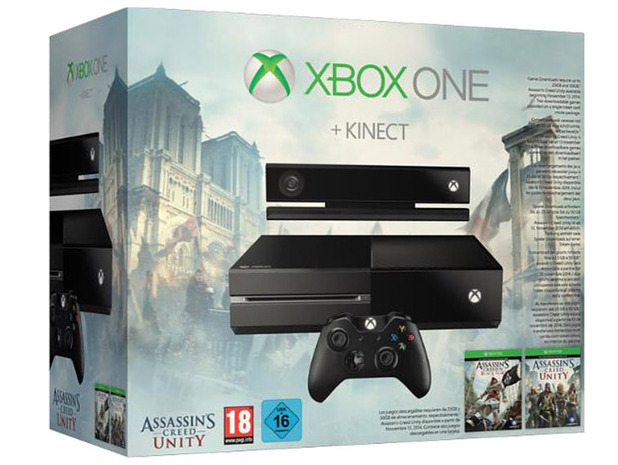 I've heard that the Kinect for the One is much better than the Kinect for the 360. Perhaps one day, I may fork over the $100 bucks for it, but as of now, I'm not gonna be bothered with it. I do love the graphic capabilities of the One. The system is also very quiet. The headset that came with the system is quite good. The headset looks cheap, but works very well. Playing online with the One was very smooth. There were no lags at all. The whole experience was pleasant. Messaging and chat were flawless. I like the feel of the controller. It's new-ish shape feels quite nice, and fits my hands very well. I also like the finish of the controller. Since I haven't had the console for too long, I'm not sure of the battery life, but my gaming minion tells me that the battery life is quite long. I give the Xbox One 5.5 stars out of 10. If you've picked up a One, leave a comment and let me know what you think about it. I'm thinking that I should have stayed in the last generation of consoles because I am not impressed with the ONE or the PS4. I am still waiting for more games to be released, and hopefully, they will be able to convince me that I made the right choice in this generation of gaming. Please enter your email address to subscribe to: Games That Rock! It's the Awkward Family Photos Game! Now we just need one for Awkward Band Photos! **Click Here to Buy This Awkward Family Photos Game on Xanaland! Join Mr. Bacon in his quest through Wiener Wasteland and the Sausage Sea! **Click Here to Buy Mr. Bacon's Big Adventure Board Game From Xana! What's Yours Like? Order this game from Xanaland and find out! Now the Rooster can be your Lucky Puppet! Were the Beatles Right? All you need is.. to play this game to find out! The Eyeball Dashboard Wiggler is watching you! Amaze your crazy cat lady friends with these magnets! Pee Wee Playhouse Wiewmaster on Xanaland! This Cymbal Monkey Plays a Mean Beat! It's the Classic Etch A Sketch on Xanaland! No way, it's a potato gun! Buy yours here! Now you can take the "Operation" game anywhere! Complete with lights and buzzing sounds. Get This Classic Game On Xanaland! Twister - Click Here To Buy! Great Okami Art Book! - Right Here on Xanaland! Okami Official Complete Works - Click Here To Buy! Black Night Spiderman Mask Cufflinks - Click Here To Buy! Spiderman Stoic Face Mask Cufflinks - Click Here To Buy! Kontrol Yourself, Sheesh! Order these Kontrol Freeks below! Kontrol Freeks give you more grip & less thumb fatigue. XBOX & PS3 compatible. Racin' Around the Whacky Tracks!